The Economist Intelligence Unit (EIU) recently released their report ‘Service 2020: Return on Service’. It is based on research with over 800 companies in Europe, Asia and North America. The results are encouraging. It shows that 84% of companies believe customer service is important to financial performance. However only just over a third have a formal strategy that recognises the link between customer service and performance. 41% are working on defining the link in their strategy. What about your company? Have you defined a link, or are you still working on it? Linkedin Influencer Colin Shaw digested the EIU Report and highlighted 3 insights in his post: ROI on Customer Service. We’d like to share these with you and to throw a few challenges questions at you too. At the Performance Hub we have been delivering Service Solutions to our clients for over 15 years. We’ve seen this area change dramatically over the years with the push and pull of digital enablement which has not only transformed service expectations but is also radically changing the way clients and customers are serviced. Chances are that the data you need already exists in your organisation. The task is to make sense of it using a formula that is relevant and works. Too many metrics can make getting a clear picture difficult. The EUI Report mentions the Net Promoter Score, NPS. How likely are your customers to recommend you to family and friends? NPS needs topping up with a measurement of the emotional and subconscious experience too. Do you use NPS? What else do you measure? 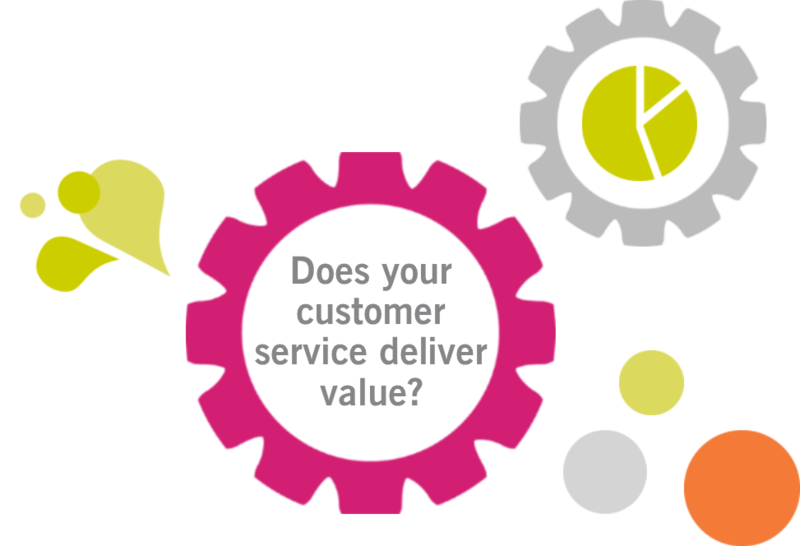 Insight 2: Where do you focus your investment into improving customer experience? Your company must be able to make a direct connection to a performance metric to demonstrate ROI effectively, say the experts interviewed in the research. For ROI, a focus on value is important. Just focusing on giving the customer what they want does not necessarily drive value, says Shaw. The EUI Report shows that trust was the metric of most focus for companies, followed by repeat purchase intent. Investing spend in areas that affect customer trust and repeat business behaviours would then make sense. Where do you focus your investment for improvement? In our last blog post Customer Service or Lip Service we noted how important it is to have the CEO champion social service within the business. Walking the talk can never be underestimated. Is your CEO committed to improving customer service? What actions support this? Can you hear it in what they say? The Performance Hub helps businesses navigate a volatile and shifting landscape by maximising their potential to realise their high performance goals. We believe Customer Service Effectiveness plays a key role. To find out more about our solutions and the clients we work with, access our eBrochure here. Are you providing customer service, or lip service? Comments Off on Are you providing customer service, or lip service? Rising L&D: Are you on the rise? Comments Off on Rising L&D: Are you on the rise? Rising L&D: Are you ready for disruption? Comments Off on Rising L&D: Are you ready for disruption?